You will add many Cheats: Unlimited Forge Focus Points , Freeze Time of Day , Change Time of Day , Stealth Mode and many more. Welcome to the article on this site linked to the trainer of Dragon Quest XI: Echoes of an Elusive Age On this page you will also find a user guide that will allow you to activate all the tricks that this trainer promises to add. Not only the Trainer! For you there are also the tricks and codes of Dragon Quest XI: Echoes of an Elusive Age In the appropriate page of the tricks of this game there are paragraphs dedicated to how to cheat with this game, and to unlock unpublished game modes, in addition to the list of Achievements and how to get them. Not only the Trainer! We also provide you with the solution of Dragon Quest XI: Echoes of an Elusive Age In the appropriate solution page of this game there are some videos that show you the detailed guide to end the game.The number of videos depends on the longevity of the game, so be patient and start reading. Dragon Quest XI: Echoes of a certain Age tells a fascinating account of a driven hero, and is the highly anticipated role-playing game from series creator Yuji Horii, character designer Akira Toriyama, and series composer Koichi Sugiyama. 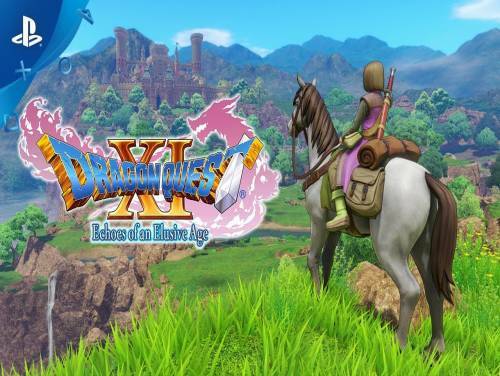 As the eleventh main entry in the acclaimed series, Dragon Quest XI is completely self-contained experience that features completely new characters, beautifully detailed world, finely-tuned turn-based combat, and an immersive story that will appeal to long time fans and to the franchise for newcomers. The program you are about to download was not created by Apocanow. However, we have permission to publish and publicize by the authors of the Trainer Dragon Quest XI: Echoes of an Elusive Age Trainer - v11.03.2018. The contents of the file are virus free, even if sometimes they can trigger the AV as false positive. Open ingame menu where gold is shown first. Press hotkey, close menu and open it again to see changes. Open the EQUIPMENT screen of the selected character first. Make your changes then open status screen of the character to see it has changed. While active your gained EXP is multiplied by 4. You can change the amount by changing the editor item value. Select the item in your item BAG (not your character inventory!). Make your changes, close bag and open it again to see changes.